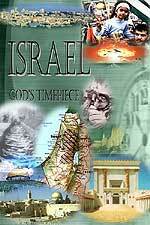 Subtitle: A popular myth circulating amongst Christians today is that our recent natural devastating disasters represent God's judgment upon America for her insistence that Israel give up her Biblical land in exchange for "Peace". While such a position passes for wisdom today, it is totally wrong! A seasoned Cutting Edge subscriber knows the truth: 1) the true, hidden agenda of America, Israel, and Great Britain is a hidden one based in Antiquity, and will result in Antichrist ruling from Jerusalem; 2) A certain 2,500-year-old prophecy is about to be fulfilled. America and Great Britain are cooperating with Israel to ensure that his hidden, very old plan and even older prophecy are going to occur without a hitch. A popular misconception circulating Evangelical circles today is that the timing of Hurricanes Katrina and Rita strongly suggest that their destructiveness against American towns and cities is God's judgment for President Bush's pressure on Israel to unilaterally withdraw from the Gaza Strip and portions of the West Bank. The timing of these events superficially support this idea, for Hurricane Katrina hit New Orleans on August 29, 2005, just weeks after Israel began her unilateral withdrawal from The Gaza Strip on August 15. Hurricane Rita came ashore September 24, just 26 days after Katrina. However, we strongly believe these dates are simply coincidental, as we shall demonstrate in this article. 1) America's judgment has long been set for a great number of reasons, stemming from the Supreme Court's decision to expel God from American schools in 1963 and to legalize Abortion On Demand, Roe vs Wade in 1973. From these two watershed events, this formerly great nation has consistently moved away from God, and His Son, and Their Biblical commandments. We have moved so far from Biblical commandments that our leaders are now legalizing homosexual relationships and aggressively invading countries who pose no threat to us, and who possessed none of the fearsome weapons with which we charged them. 2) America's judgment is part of the overall judgment of the world as the entire world goes into the final stages of the Final Birth Pangs war which will produce the "Man of Sin" on the world scene. Therefore, once you know the hidden agenda, you will realize that America is cooperating with Israel to guarantee her survival and her control of Biblically mandated lands, quite the different scenario than is being bandied about today in Evangelical circles. 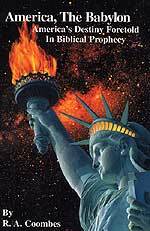 5) This secret plan being pursued by America, Great Britain, and Israel will fulfill a very ancient prophecy, that of Obadiah 15-18 and Isaiah 34, both of whom are nearly 2,500 years old (Read NEWS1422, NEWS1620, and NEWS2058 for full details). For the remainder of this article, we shall zero in on Reason #4, the hidden agenda which America, Great Britain and Israel are following, a plan which will guarantee Israel's control of all God's mandated lands, including the Temple Mount and all the lands God promised Abraham. Please read carefully and precisely, praying the Holy Spirit will flood your heart and mind with the truth. One final concept you need to have clearly in your mind is the reality that, in this unprecedented era of deception in both politics and religion, the truth is often found in the opposite direction of the Public Rhetoric. Read NEWS1558 for full details. Most "news" and editorials in mass market outlets is nothing more than slanted propaganda designed to get you thinking in the direction our godless leaders want you to think; meanwhile, the truth lies in the opposite direction. I learned this principle clearly when serving in US Army Intelligence, with a Top Secret/Crypto Clearance, stationed for 2 1/2 years in the "Pentagon of the East", in Okinawa. Today, our Skull & Bones President is managing the most incredibly deceptive mass media propaganda our country has ever seen, even deceiving Christians today simply with his words -- not his actions (Read "President Bush's Evil vs Good Fruits" to see how his actions defy his soothing claims). Illuminized Western Freemasonry has long desired to rebuild Solomon's Temple on the Temple Mount. Masonic forces of the United Kingdom, United States, and Israel are absolutely determined to rebuild Solomon's Temple. This plan will bring about World War III, Antichrist, and the beginning of the Tribulation. Let us spend the rest of this article discussing how this momentous goal will likely be realized; once you complete this article, you will discover that the truth does, indeed, lie in the opposite direction of the public rhetoric. Rather than America pressuring Israel to give up Biblically-mandated lands, America is secretly supporting Israel in her effort to re-capture control of the Temple Mount, stage the planned Jewish/Masonic Christ, and annihilate her Arab enemies. In the process, End of the Age prophecy will have been fulfilled in bunches! History records that this Temple which had so impressed Jesus' disciples was destroyed in A.D. 70. It was destroyed by the Roman Army that had laid siege to the city; further, even though the soldiers were under strict orders to not destroy the Temple, they set fire to it, and caused that fire to burn so hot for so long, and so thoroughly, that the stones heated hot enough to turn the gold liquid, flowing out of even the mortars of the bricks. When the fire cooled, Jesus' prophecy was exactly fulfilled. God supernaturally ripped the Temple curtain separating the Holy Place from the Holy of Holies, while the sanctuary was filled with parishioners worshipping during the annual sacrifice for the sins of the Israel. Suddenly, they must have been filled with shock and fear as God abruptly ripped the curtain, throwing the Holy of Holies wide open. Many of them must have feared death, for no one could enter the Holy of Holies and live, except for the High Priest, and he only once a year. Tearing the curtain in two was God's signal that the First Covenant, with its Temple and priesthood, was now irrelevant, and was now to be replaced by His Second Covenant through Jesus Christ. Did you catch that? "... ripe for disappearance and to be dispensed with altogether." Therefore, genuine Christians have virtually ignored the Solomon and Herodian Temples, except to arrive at a proper understanding of the Old Testament Covenant. We certainly understand that God destroyed the Temple because He had instituted the superior Second Covenant through the new superior High Priest, Jesus Christ. To us, the Solomon Temple is just an interesting piece of Ancient History! But, not so with the pagan Freemasons. In their religion, the Temple plays a very, very important role. MASONS DECLARE FREEMASONRY TO BE A RELIGION! "... Masonry may rightfully claim to be called a religious institution." ["A New and Revised Edition: An Encyclopaedia of Freemasonry and Its Kindred Sciences", by Albert Mackey, M.D., 33º, Volume II, p. 618. Do not be deceived; Freemasonry is a religion! THE SOLOMON TEMPLE IS THE HEART AND SOUL OF FREEMASONRY! Now that we have amply demonstrated that the genuine Christian has no close affinity to Solomon's Temple, because He destroyed it and annulled the Levitical Priesthood that accompanied it, let us examine how important this temple is to the practice of the Masonic religion - in absolute contradiction to New Testament Christianity! "Take from Freemasonry its dependence on the Temple; leave out of its ritual all references to that sacred edifice, and to the legends and traditions connected with it, and the system itself would at once decay and die ... "
Therefore, the first understanding we want you to grasp is that Freemasonry is absolutely, completely, 100% devoted to the Solomon Temple, without which the entire structure and foundation of Freemasonry would die! Thus does Masonry stand in stark contrast to genuine, Biblical Christianity. In other words, Freemasonry is rooted at its deepest foundation to the First Covenant of the Old Testament, while Biblical Christianity is rooted to the Second Covenant of Jesus Christ as delineated in the New Testament! Mackey makes this fact quite clear also: "Masonry has derived its temple symbolism, as it has almost all its symbolic ideas, from the Hebrew type ..." [Ibid] Since the Old Testament was written originally in the Hebrew, and the New Testament in the Greek, Mackey is clearly stating that Freemasonry is rooted in the Old Testament! In the Masonic Bible, quoted above, the Temple Illustrated Edition, the author of the Foreword sheds some further light upon the importance of Solomon's Temple to Freemasonry. "The traditions and romance of King Solomon's Temple are of great interest to everyone who reads the Bible. They are of transcendent importance to Masons. The Temple is the outstanding symbol in Masonry, and the legendary story of the building of the Temple is the fundamental basis of the Masonic rule and guide for conduct in life ... The cream of Masonic historical and philosophical writing has been drawn upon for his description of the Temple and its relation to Masonic ritual." ["The Holy Bible: The Great Light In Masonry", King James Version, Temple Illustrated Edition, A.J. Holman Company, 1968, Forward entitled, "The Bible and King Solomon's Temple in Masonry", by John Wesley Kelchner]. "The traditions and romance of King Solomon's Temple ... are of transcendent importance to Masons." The word, "transcendent", is used by genuine Biblical Christianity to describe God Himself. Just as the dictionary explains, God is truly "transcendent", "to pass beyond the limit that humans can grasp"; "to exist above and independently of material experience or the universe". In other words, Solomon's Temple is to the Freemason what God is to the genuine Christian! Thus, belief in Solomon's Temple transcends all of Freemasonry itself, existing above and independently of it. Masonry has placed its "transcendent" faith in a building that the True God Himself destroyed, not once, but twice! "But there is a second and higher class of the Fraternity, the Masons of the Royal Arch, by whom this temple symbolism is still further developed. 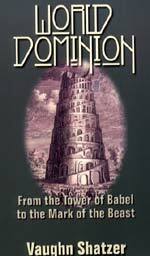 This second class, leaving their early symbolism, and looking beyond this Temple of Solomon, find in Scriptural history another Temple, which years after the destruction of the first one, was erected upon its ruins; and they have selected the second Temple, the Temple of Zerubbabel, as their prominent symbol. And, as the first class of Masons find in their Temple the symbol of mortal life, limited and perishable, they, on the contrary, see in this second Temple, built upon the foundations of the first, a symbol of life eternal, where the lost truth shall be found, where new incense shall arise from a new altar, and whose perpetuity their great Master had promised when, in the very spirit of symbolism, he exclaimed, 'Destroy this temple, and in three days I will raise it up'." The Temple is so very important to the Mason that he took the final step to spiritualize its meaning. Master Masons look upon Solomon's Temple as their symbol of human life, while Royal Arch Masons consider the inferior Temple of Zerubbabel as their symbol of eternal life! The two symbols, taken together, form a spiritual circle, thus "perfecting" the Masonic symbolic system! 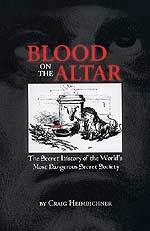 Now, you can understand how the Temple of Solomon became such a "transcendent" issue for the Mason! Since Freemasonry reverences Solomon's Temple so very much, and since this Temple holds such a pre-eminent position in all of Freemasonry, from its foundation to its very roof, is it much of a stretch to understand that Freemasons might fervently desire to re-build Solomon's Temple on the only place on earth it can possibly be built -- the Temple Mount in Jerusalem? Let us examine some of these writings to see the fervent desire of Freemasons to rebuild Solomon's Temple! The word, "avidity" is defined as "eagerness, greed". Therefore, we can see that they are "directed to build up this temple" with eagerness and greediness! Mackey then goes on to talk about this new temple and some of its new fixtures. "And Simon Peter answered and said, Thou art the Christ, the Son of the living God." [Matthew 16:16] Notice Peter said "Thou are the Christ"; in other words, Peter recognized that Jesus was the Divine/human fulfillment of this office of Messiah. "And the high priest answered and said unto him, I adjure thee by the living God, that thou tell us whether thou be the Christ, the Son of God." [Matthew 26:63] The high priest asked Jesus point blank if He was the fulfillment of that Messianic office. "... the people were in expectation, and all men mused in their hearts of John, whether he were the Christ, or not" [Luke 3:15] Even the common Jew understood this distinction between the office ["the Christ"] and the man Who would fill it. 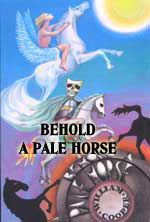 However, the Bible says that another Christ shall arise, and he shall be the Antichrist, or one who comes in the guise of Christ, pretending to be the Messiah. Unfortunately, most the people living at that time will be deceived into believing him to be Messiah, and will enthusiastically follow him [Revelation 13:3b-4]. "The Temple of Masonry is hence forward the house of [anti-]Christ". Jesus is quoting Daniel 9:27, 11:31, and 12:11, in which Antichrist will go into the Holy of Holies and commit the "Abomination that Causes Desolation". The Apostle Paul gives us more insight as to why Antichrist's actions are so offensive to God. Matthew 24:15 suddenly depicts Antichrist walking into the Holy of Holies to declare himself to be God, and proudly demanding that he be worshipped as God. Revelation 13:15 tells us that Antichrist will actually erect an image created in his likeness; this image will not only be able to speak, but will possess the supernatural power to kill anyone who does not worship it! Now we understand. Antichrist will walk into a rebuilt Temple standing on the Temple Mount in Jerusalem, declare himself to be God, demand to be worshipped as such, and erect a talking image made in his likeness! Therefore, the re-built Temple of which Jesus foretells is directly linked to Antichrist! Why should we be surprised to learn from Waite that "The Temple of Masonry is hence forward the house of Christ"? This planned new temple shall be the Temple of Antichrist, in complete fulfillment of Scripture. "... in the High Grades [of Masonry] we hear of a secret intention to build yet another temple at Jerusalem." [Author, Edward Waite, p. 486-7, "A New Encyclopedia of Freemasonry and of Cognate Instituted Mysteries: The Rites, Literature and History", Volume II, reprinted in 1970 by Weathervane Books]. In the late 1800's, Masonic author and authority, Edward Waite, boldly stated that a secret plan does exist within Freemasonry to "build yet another temple at Jerusalem". This poses a problem, does it not? In the mid-600's, the Muslim Dome of the Rock was built squarely on the Temple Mount in Jerusalem. Therefore, any "secret intention" of the top Masonic leadership to rebuild Solomon's Temple at Jerusalem must necessarily include a plan to remove the existing Dome of the Rock! Thus, you see clearly the plan to reduce the Dome of the Rock to rubble so Solomon's Temple can be rebuilt; further, Lemesurier ties this destruction of the Dome of the Rock to the appearance of the "New David", the New Age Christ -- the Masonic Christ actually, whom the Bible calls Antichrist. Masons are "preoccupied" with King Solomon's Temple. "Concerning the building of this temple, the Zohar teaches that Solomon's Temple was not built according to the original plans ... In a word, the Lord did not build the House, and they laboured in vain that built it ... There is a time, however, to come, when the Holy One shall remember His people, Israel, and the Lord shall build the House." [Author, Edward Waite, p. 486-7, "A New Encyclopedia of Freemasonry and of Cognate Instituted Mysteries: The Rites, Literature and History", Volume II, reprinted in 1970 by Weathervane Books]. "Zohar teaches that Solomon's Temple was not built according to the original plans ... In a word, the Lord did not build the House, and they laboured in vain that built it ... There is a time, however, to come when the Holy One shall remember His people, Israel, and the Lord shall build the House." Now that we have been told that Solomon did not follow God's original plan in building his Temple, we realize the importance Masons lay upon a "Holy One" that shall come, to "remember His people, Israel", and shall commemorate that remembrance by finally building a house that He had originally intended Solomon to build! In other words, King Solomon messed up the royal plans for the Temple! He did not follow God's original plan, so God allowed Solomon's magnificent Temple to be destroyed! The Coming Christ will rebuild it, but shall build it according to the original Divine Plan. Now, can you appreciate the ruling handed down a few years ago by the Orthodox Jewish leadership that "only Messiah can build the Temple"? When the Masonic Christ shall come, then shall be fulfilled Waite's quote, "the Lord shall build the House"! "... restoration of the Temple ... awaited only the coming of a man with the vision ..."
Once you understand that Middle Eastern events are being driven by this fervent Masonic desire to rebuild Solomon's Temple on the Temple Mount in Jerusalem, then you will be able to make sense of what is occurring over there today. To finally realize this dream, control of Jerusalem generally, and of the Temple Mount, especially, must pass from Israeli control; but it must not pass to Arab control. Rather, control of Jerusalem must pass to the Illuminized International Community. The Christ shall enact the scenario Lemesurier outlined, where he shall be anointed Messiah, standing "amidst the rubble of the Dome of the Rock". Illuminized Western Freemasonry -- driven by the United Kingdom, the United States, and Israel -- are carefully maneuvering events in the Middle East to so precipitate the war that will not only allow their Christ to arise [Tim Cohen, "Antichrist and A Cup of Tea"], but will destroy the Dome of the Rock by either a deliberately induced earthquake or war [Peter Lemesurier, "The Armageddon Script"]. As Cohen so strongly states, the key leadership in this script is in London, at the House of Windsor. They make the policy, and officials of the United Kingdom, the United States and Israel implement it. We have noted lately the true "Axis of Evil" driving world events -- England, United States, and Israel. While some consider Spain's King Juan Carlos to be a prime candidate for Antichrist, I have not read of a stronger case for either Prince Charles or William than Cohen presents in his "Antichrist and A Cup of Tea". We have been able to trace the beginning of this entire modern flow of history all the way back to British Illuminist Francis Bacon and the equally Illuminist Queen Elizabeth I. But, that is the grist for another story to be told at another time! However, the point is that, as the beginning of the Illuminized plan for the New World Order can be traced back to the 1590's to British leadership, it makes sense that Antichrist shall ultimately come from Great Britain. NEWS1529 -- Is The United Nations About To Take Step Three of New Jerusalem Covenant Project? NEWS1573 -- Is Jerusalem About To Be Declared International City? NEWS1587 -- Pope John Paul II Signs Covenant With Arafat Calling For Internationalization of Jerusalem! NEWS1635 -- U.N. Has Officially Controlled Jerusalem Since 1999! As you can see, Cutting Edge has devoted much time and effort on this issue, because it literally is the issue around which the appearance of Antichrist shall revolve. Then, the rebuilding of Solomon's Temple on the Temple Mount can commence. But, this time, "The Lord" shall build the House. This is the Temple of Antichrist, and it draws nearer every day. All this information brings us full-circle back to our original position, does it not? Now you can see that Western Freemasonry simply cannot afford to let Israel be destroyed, because that would completely nullify this centuries-old obsessive dream of rebuilding Solomon's Temple. The only question left unanswered is how to remove the Islamic Dome of the Rock. A secondary question is how to begin the planned annihilation of all Islamic adherents in the world? Evidently, the first entire Islamic nations to be annihilated are those closest to Israel, which would fulfill the prophecy of Joel 3 and Obadiah 15-16. Listen to this latter verse. I the fifteenth verse, we see that God's judgments will fall upon those nations who have dealt treacherously with Israel. In the modern age, no people have dealt more harshly with Israel than the Palestinians. Their suicide bombers have been slaughtering men, children, women, and babies for over 20 years now. Following the Palestinians are the Syrians, Jordanians, and Egyptians, all of whom have been in the forefront in the attempt to destroy Israel since 1948. Even though Egypt officially has a peace agreement with Israel, President Mubarak is very anti-Israel and will likely commit Egypt to the coming all-out Regional War. The bottom line is this, and it is simple: Regional events in the Middle East are being driven by the Western Masonic obsessive goal to rebuild Solomon's Temple on the Temple Mount; this goal requires the removal of the Dome of the Rock. A secondary goal is to begin the Illuminati plan to annihilate all monotheistic adherents to Islam. The Palestinians (House of Edom, House of Esau ) are evidently the first in line, followed by Syria, Jordan, and Egypt. To get these Muslim leaders to attack a vastly superior Israel, they have to be tricked into attacking. The Oslo Accords represented the first in a number of steps Israel has taken regarding the Arabs, as she committed in Oslo to withdraw from the Gaza Strip and the West Bank. Conventional Military Wisdom states that the IDF cannot now adequately protect Israel now that she has conceded control to an implacable enemy of so much internal territory. Furthermore, tepid, weak Israeli response to repeated Palestinian atrocities have lead many Arabs to believe that the current Israeli leadership lacks decisiveness and is, therefore, weak and very vulnerable. Therefore, American Presidents Clinton and Bush have been secretly aiding Israel in their collective goal of eradicating all Muslims, freeing the Temple Mount from Islamic control, and rebuilding Solomon's Temple. Only then can their Masonic Christ appear. All the back-and-forth debate and "pressure" on Israel by the White House over the past two decades is simply the Dialectic Struggle (Controlled Struggle) at work, trying to convince the American and Israeli public that undue pressure is being put upon Israel to vacate territory. Believe me, as we have repeatedly stated over the years, Israel may vacate today, but will soon reoccupy once the IDF annihilates the Palestinians. Once the Palestinians have been eradicated, and the Syrians, Jordanians, and Egyptians have been so badly defeated their governments collapse, Israel will be able to reoccupy, not only the Gaza Strip and the West Bank, but all of the land God promised to Abraham -- as we noted above. Remember, always look in the opposite direction from the Public Rhetoric. While I was serving in US Army Intelligence at the "Pentagon of the East", I discovered that our government leaders lied every single day. Can we expect anything different in this more deceptive era, 30 years later? Events of the day are rushing to completion, and soon the Final Birth Pangs War (World War III) will erupt on the world, out of which Antichrist will come striding. Are you spiritually ready? Is your family? Are you adequately protecting your loved ones? This is the reason for this ministry, to enable you to first understand the peril facing you, and then help you develop strategies to warn and protect your loved ones. Once you have been thoroughly trained, you can also use your knowledge as a means to open the door of discussion with an unsaved person. I have been able to use it many times, and have seen people come to Jesus Christ as a result. These perilous times are also a time when we can reach many souls for Jesus Christ, making an eternal difference.